Pendles is the second of five free playable characters coming to Battleborn, and you can officially get your hands on the snake-man a couple weeks from now. As previously reported, Pendles is a rogue class character who hails from Akopos, the same water world as Alani. The assassin likes to sneak up behind foes and poison them before attacking with his duel kamas. He will then quickly dart away, hopefully before his target can retaliate. 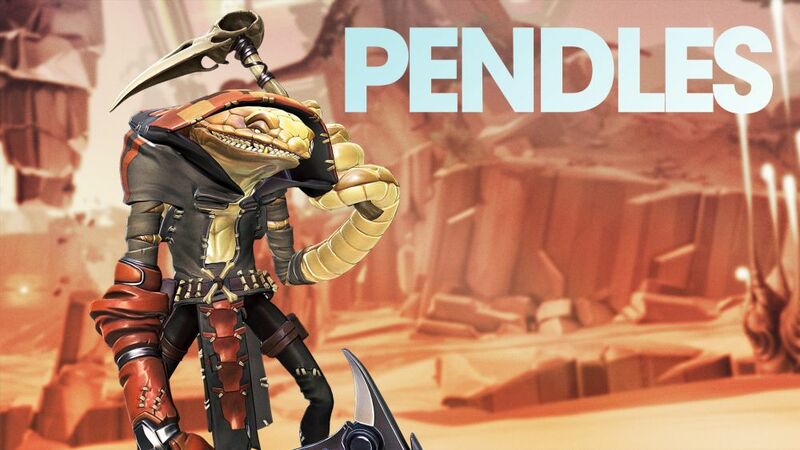 In early access starting July 28, Pendles will see an official release on August 4. Also, starting today, new skins and taunts will be made available in Marketplace alongside the new Battleborn update, which rolls out at 2pm PT/5pm ET/10pm UK. If you missed the patch notes from July 19, you can look those over through the link. Finally, Lootpocalypse has been extended through the weekend, and Legendary drop rates have been increased until Monday, July 25. Enjoy.